Monday, June 26, 2017 (Halifax, NS) – The Halifax Regional Municipality is advising residents and motorists that road construction will take place tomorrow on Baker Drive between Portland Street and Mount Hope Avenue. Crews will be on site from 9:00 a.m. to 4:00 p.m. There will be lane drops and stop-and-go traffic while work is underway. 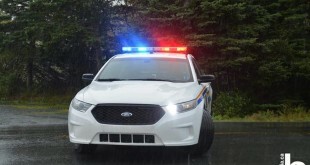 Indian Brook RCMP investigate break and enter with assault, Indian Brook, N.S.